Getting the right people into your business enterprise is very vital and often determines whether your success rate is predictable or not. And so, it is important that you come to the basic knowledge of the hiring paradigms that most big corporations use to retain and layoff their staff. 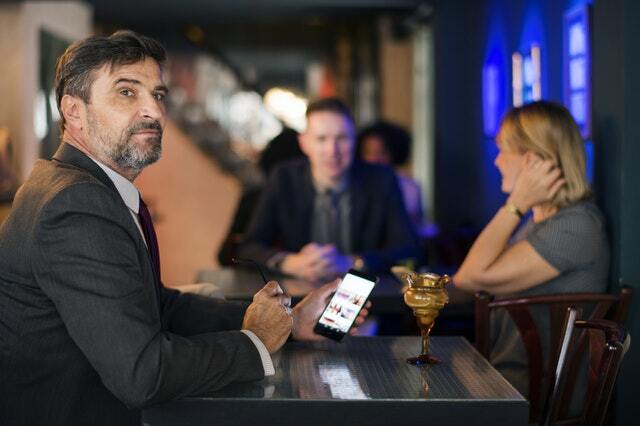 I have observed two basic hiring and firing paradigms that every young CEOs should understand as they venture into employing people who were expected to help them position their business. Remember that I had explained in the previous essays the system structure framework upon which work activities in any organization can be monitored and evaluated. It is important on this note that I align these paradigms to them so you can be very clear when to apply them to your business. I explained that the roles to be played in getting things done based on this framework are initiation, interpretation, implementation, regulation. Depending on your personality dimension and type, as the young CEO, which further will determine the first line of persons you are supposed to employ, you need to hire an expert in the areas you are a novice at so you can make up for the things that must be done that you do not have capacity for. Say, you want to give meaning to some of your business ideas that you have imagined to be possible but do not know how to go about it, then you need an interpreter, and you must hire an expert interpreter who is not coming to do trial and error. First, you must be clear with what your expectations are so you can be able to measure performance. It is on this note that you can hire to fire. This is not something that you should be emotional about. And in hiring this person, make sure that person is not your relative or someone emotionally attached to you. The most business collapse in their first few years because the CEOs, probably, were too emotional about things, they should be logical about. It is a logical thing to fire someone who is supposed to provide an expert service to your business can take off in a record time but failed to do so. Firing this person is like changing the engine of your car. The change is because the engine is bad and does no longer serve the purpose it was designed for. You do not say because you love the engine, you will not change it. That is ridiculous, but many times, we do that in business. Firing a perceived competent person that eventually turns out to be incompetent is not evil in itself, rather you are trying to save yourself, the business and the person from failure. Also, the people you must hire to fire are people whose personality does not align with the specified job description. 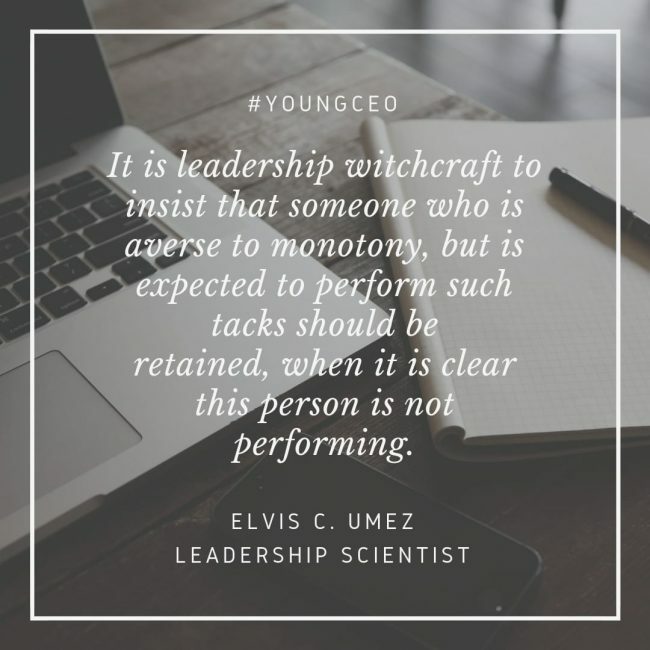 It is leadership witchcraft to insist that someone who is averse to monotony, but is expected to perform such tacks should be retained, when it is clear this person is not performing. Remember, Your goal is to put the round peg in the round hole. Fire the people whose job descriptions do not align with their personality, because they may never change. To be sure on how to go about this, get my book, Leadership Tweaks and learn more. The second paradigm, which is hired to equip is for those whose designs allow them to carry out routine tasks. This is because they only get better on the job. So, the big organization usually train and refrain these group of people so they are can more effective and efficient. Like I said, fire the expert who failed to live up to expectation, but for the armatures whose job is to implement the interpreted vision of your business, they must not be fired but equipped. An example is someone who may be assigned to your front desk. Seeing he or she is not expert in this field, but with potentials, but can easily to learn so he or she can be effective and efficient in delivering on the promise of your vision. These persons must be trained on the job. Furthermore, they are those whose personalities align them to the personality dimension of implementers who have the basic understanding of how the systems work and will tirelessly make sure that the day to day activities are carried out. They are the people you will leave the responsibilities of micromanagement while you take on the macromanagement. See it this way that those you must hire to equip are like your family member who when they fail exams do not lose family membership, rather they are encouraged and motivated to get it right in the next try. In the same way, you should focus on making sure that these people are properly trained on the job for your own good. Nevertheless, never make the mistake of firing someone you should equip and equipping someone you should fire, you will soon realize that your investments in human resources will not give the needed returns that should benefit your business. The usual consequence is that when you equip an expert to be better at his job, he or she will definitely look for greener pastures, because of the added feather to his or her cap. This is the more reason you must ascertain the personality dimension and type of the people you are going to employ before they get on the job. However, when you have already hired before assessing their personalities, get your hands dirty by making sure you do that. After that, you can still reshuffle and realign them into their proper places of strengths so they can function maximally.